In Japanese Dojo means “the place where the Way is studied”. Although for beginners Dojo is nothing more than the place for physical exercise, it should not be considered as a gym. Spirituality is supposed to pervade the atmosphere in the Dojo, because it links spiritual and physical elements of the selected martial art. In the Dojo, cleanliness and order always predominates. Besides style insignias, the Dojo must not contain anything pretentious to distract the mind. Honbu Dojo of the Kase Ha Budo Shotokan Ryu Karate-Do in Greece is located in Athens, in the area of Paleo Psychico, inside the private “Panagiotopoulos High School”. The “Panagiotopoulos High School” was founded in 1891 and since then has offered high-quality education to Greek students. The school is currently under directorship of Mr. Alkis Panagiotopoulos, holder of a PhD in History from University of Oxford. Being a karate himself, Mr. Panagiotopoulos was aware of the positive effects of karate practice and in order to improve the students’s physical and mental development he even included karate practice in the school’s curriculum. Soon after arriving in Greece sensei Dimitrijevic met Mr. Panagiotopulos and their friendship resulted in the establishment of the Shotokan Club “Ippon” within the “Athletic Association of the School”, which later became, and today still is the Honbu Dojo of the Kase Ha Budo Karate-Do in Greece. It was the play of destiny that after a gap of twelve years sensei Dimitrijevic met Kase Sensei again, upon coming to Athens. 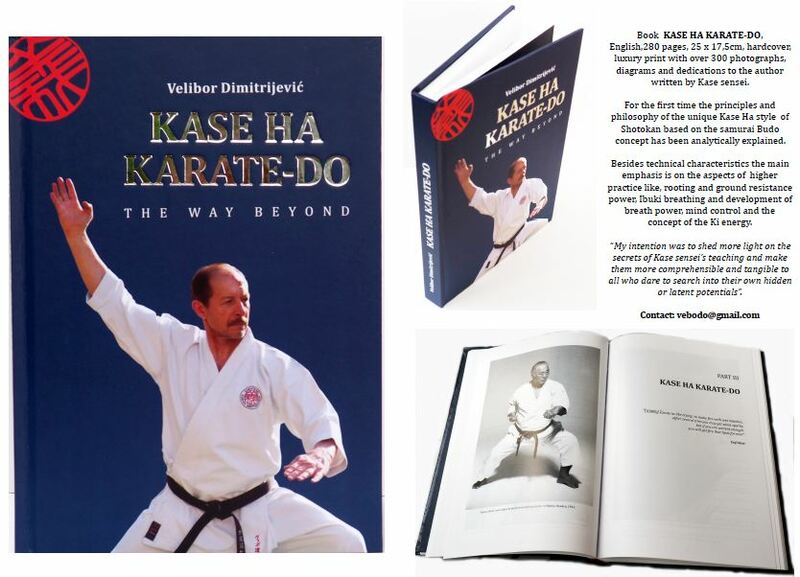 In 1991 he joined newly founded World Karate-Do Shotokan Academy, and in 1992 Kase sensei came to Athens. From then he came every year until his death in 2004. Practice in Honbu Dojo is carried out three times a week and every year organizes traditional Loutraki summer camp.